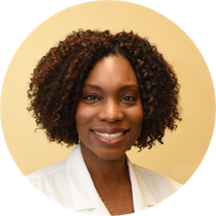 Dr. Tenecia Allen is a caring and diligent cardiologist serving the community of Austell, GA. Dr. Allen attended Emory University, where she received her medical degree, and completed her residency and fellowship at the same institute. Dr. Allen is a part of WellStar Medical Group Cardiovascular Medicine - Cobb ans is affiliated to WellStar Cobb Hospital, WellStar Kennestone Hospital, WellStar Douglas Hospital,and WellStar Paulding Hospital. She is certified by the American Board of Internal Medicine sub specializing in cardiovascular disease and the Certification Board of Nuclear Cardiology. Patients trust Dr. Allen's expertise because she consistently provides high quality care that leads to positive and lasting health outcomes.